it’s path lit by the moonlights gloom. until they were cursed to never forget. only thus could they pay full measure. The ghost crew would find peace tonight……. 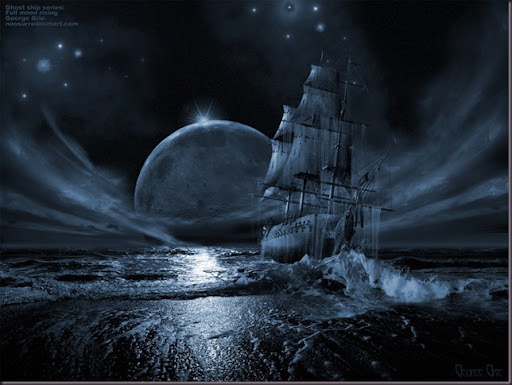 This entry was posted in Fantasy, Legends, Myths, Poems and tagged Myths and Legends, Poetry, Sea. Bookmark the permalink.